Next to saffron and cardamom, vanilla is the worlds next most expensive spice. Vanilla’s mellow fragrance enhances a variety of sweet dishes: puddings, cakes, custards, creams, soufflés and, of course, ice cream. Classic examples include crème caramel, peach Melba and apple Charlotte. 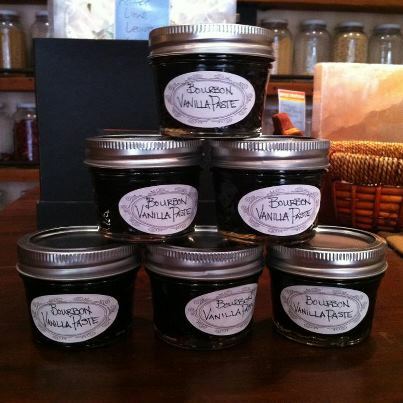 This Vanilla comes in a paste format, which consists of Vanilla beans, sugar, bourbon and gum arabica. It can be used as a substitute to vanilla extract or can be put directly on top of desserts, such as ice cream or cupcakes...or eat straight out of the jar...simply delicious. MEDICINAL: Believed to cure impotence. We sell the Vanilla Bean by the strand.